Since more and more businesses are migrating their data storage to a cloud environment, cybercrimes are running more rampant. As a result, there is a growing need to make sure that data is secure. 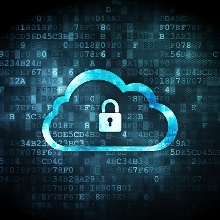 Here are five ways your business can increase cloud security and prevent your data from being compromised. 1. Don’t store business-related materials on personal cloud services…and vice versa. It is bad practice to store work-related information outside of your work environments. This includes storing work-related information using personal file sharing or cloud service accounts, such as Dropbox, iCloud, OneDrive and Google Drive. Personal accounts usually have less restrictive passwords and security features, which may make your work data more susceptible to compromise. This goes the other way as well – don’t save personal information on your work system. 2. Implement role-based security for authorizing access to work-related information. Role-based security allows you to assign specific security permissions to different roles within your organization. For example, by using role-based security, you can limit the access of the accounts payable department to the financial information they need, while employees in the human resources department only have access to employee records and personnel information. While this feature is standard for large cloud service providers, businesses should confirm that their provider allows them to implement role-based security. 3. Always use multi-factor authentication. If available, it’s recommended that each employee accessing data hosted on the cloud use multi-factor authentication. Multi-factor authentication requires more than one factor for users to authenticate to the cloud storage system, and may be as simple as asking for both a password and PIN to gain access. Another common multi-factor authentication method is entering a password, and then subsequently receiving and entering a random code sent by the cloud storage system. 4. Ensure that departed employees are immediately removed from the cloud. When an employee leaves a position, all employee access and permissions to cloud storage resources must be revoked. The human resources department must be in contact with the IT department to make sure this happens as soon as possible to ensure that data is kept safe from potentially disgruntled former employees. 5. Have a company-wide security policy. By far, the biggest risk to your company’s cloud security, and the major source of vulnerabilities that a hacker can exploit, are the result of the actions of unaware and uninformed users. It is imperative that a business clearly define and communicate cloud security best practices and policies to its employees. These best practices should be updated regularly and as systems change. In addition to communicating these policies with employees, businesses should have an annual refresher course of the policies. This can be a briefing at a quarterly meeting, webinar, or even a quick online course. By implementing these five preventative cloud security tactics into your cloud security plan, your business and data will be better protected from intentional, or unintentional, attacks.